The industry’s best people deserve the industry's highest pay. You’re driven by your heart, not your wallet—but we think you should be paid well for the vital work you do and the essential skills you’ve honed. 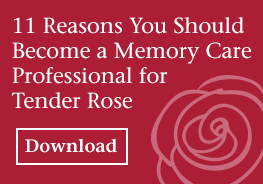 At Tender Rose, we provide one-on-one care to clients in their homes, and we pay our caregivers $17 - $35 an hour, instead of the $12 - $17 you’d earn at traditional home care agencies. We’re dedicated to hiring the best of the best, so you can also expect a performance-based raise after 180 days, well-deserved paid time off to recharge, as well as a 401(k) plan with 4% company match, health insurance, dental and vision plan options (for full-time employees). Even if you’re already employed, we hope you’ll get in touch with us to discuss your career goals. Our team might be a better fit for you. Together, we can give care to the people who need it most.